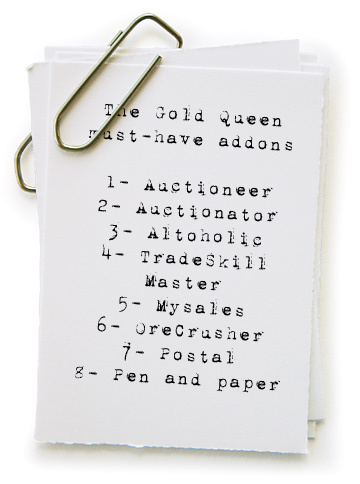 These are some of my favourite addons for buying, selling and keeping track of my auctions and gold making online. [quote] “Auctioneer Suite provides you with the tools and data necessary to make those difficult auctioning decisions with ease. From purchasing to posting, the Auctioneer Suite provides time-tested tools to allow you more time to actually play your characters or play the market. As you will soon discover, it is much more than a simple “Auctioning AddOn”, the Auctioneer Suite also shows in-depth information for all game items, such as those used in quests or recipes, enchanting, milling, prospecting and more. The grand-daddy of them all, Auctioneer is modular, and lets you download the entire suite or just the parts that you need. It keeps track of auction data, makes the auction house easier to use and navigate, lets you search for items, sell, check prices, everything! [quote]”Auctionator makes the auction house easier to use, by presenting auction house listings clearly and succinctly, and by eliminating the tedium involved in posting and managing auctions. I’ve grown to love auctionator over the last few months because of its beautiful shopping lists that allow me to scan groups of items and compare their prices, buy exactly what I want for the right price, and easily post an item for the amount that I choose, rather than using appraiser. 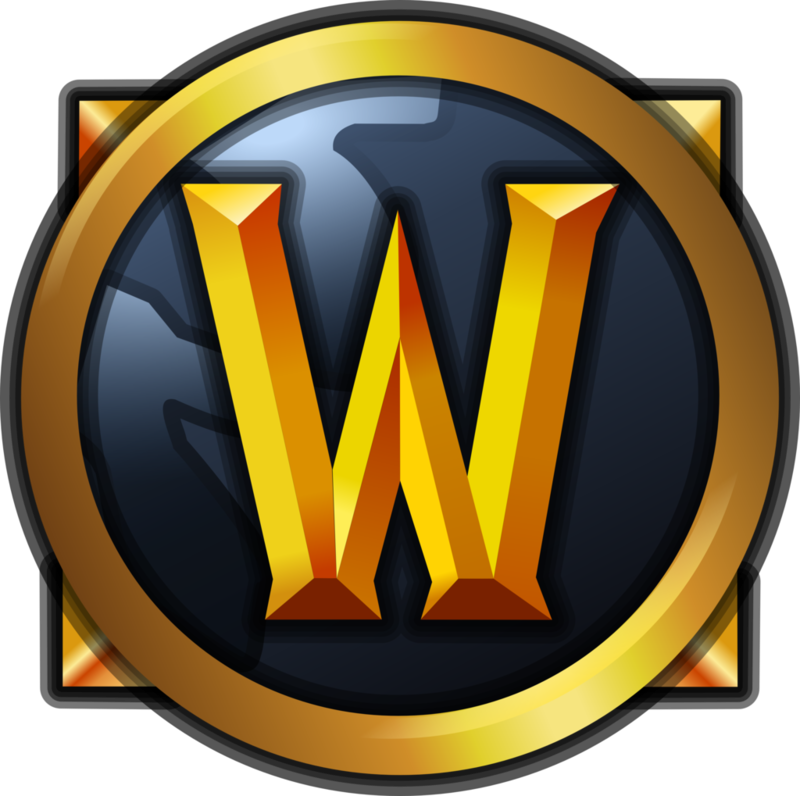 [quote]”Altoholic is an Ace 3 addon written for people who dedicate most of their time to leveling alts, and who want to have as much information as possible in one addon. 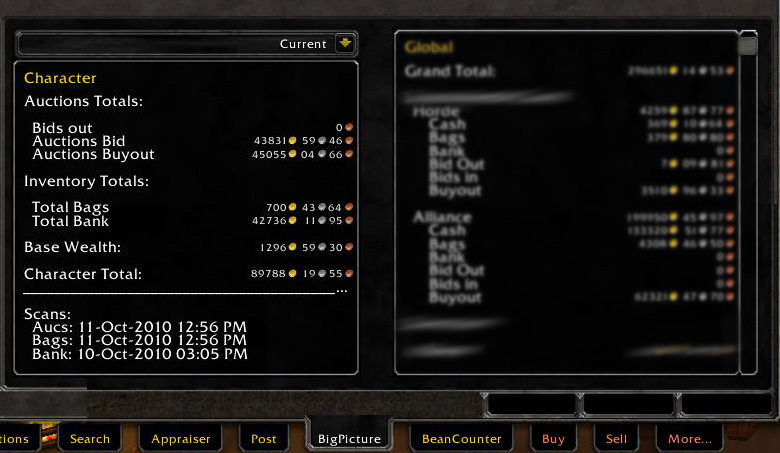 The main feature of the addon is the search functionality which allows users to search their alts’ bags or loot tables in an Auction-House-like frame. 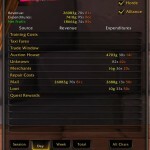 Quite simply, altoholic lets me co-ordinate items, and trade skills across my alts and various characters. 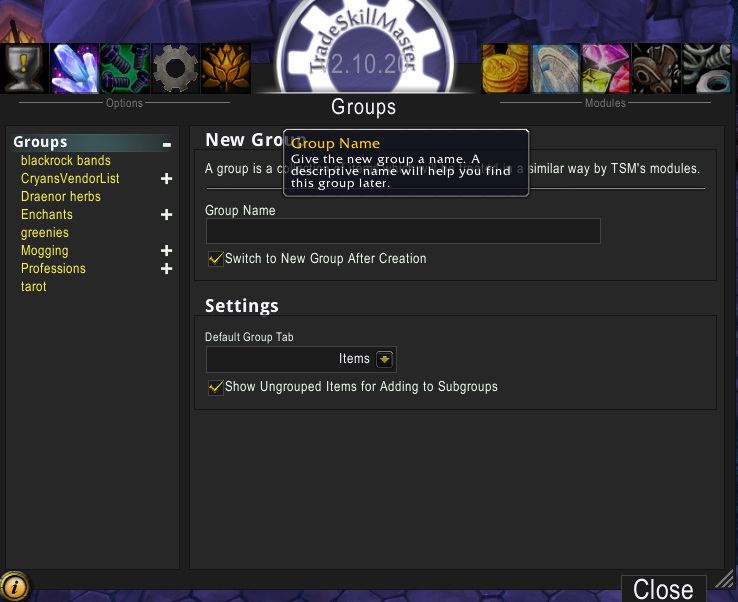 I can also check their bags, guild banks, all in a friendly user interface window. [quote] “TradeSkillMaster is a module based system to help both NEW Auctioneers and the most elite auction goblins manage everything related to the Auction House! A relative newcomer to the addons, the modularity keeps it nice and lightweight. New features are planned, making it into an all singing all dancing buying crafting selling professions all-star. Sneaking in at number five is this nice little addon which offers less flexibility but more simplicity and usability than Beancounter, simply showing you what you have sold, to who, and for how much. [quote]”OreCrusher (or The O.C. for short) is a simple in game helper for Prospectors. Saving you time and energy with those fiddly spreadsheets such as the “one that killed them all” over at the Consortium Forums, Orecrusher lets you compare the cost prices of raw ore with the relative gold-making opportunity of prospecting and crafting. 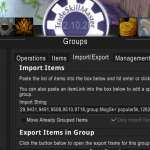 Quite simply the current best mailbox addon, letting you retreive and post your items faster and with greater flexibility. 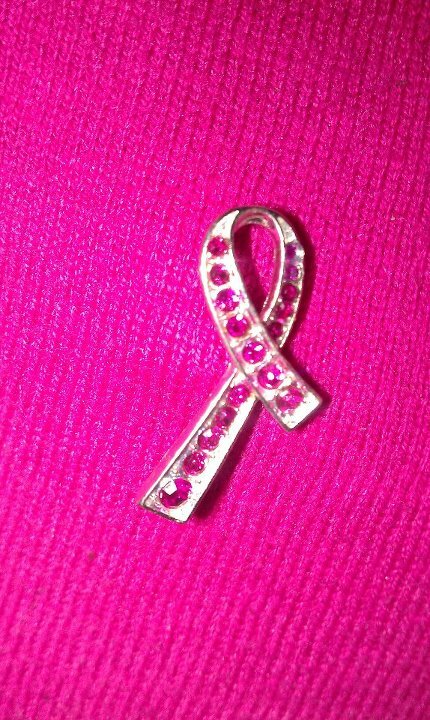 For me, this is the best there is, and would be up at number one if I wasn’t so lazy sometimes. Nothing is better than keeping a handwritten note on your desk about items to watch, who to trade with, or anything else to do with buying selling and watching gold making. 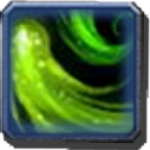 Have you ever wanted an addon that will compare the cost price of mats with the selling costs of the crafted item? This will become your best friend. 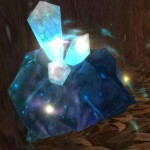 Not strictly useful for auctioneering, this helps players who enjoy farming raw mats such as herbs and ore. I particularly love the Heads Up Display which lets you fly or ride to the next node without consulting your map.